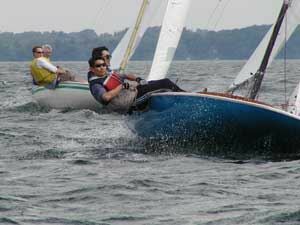 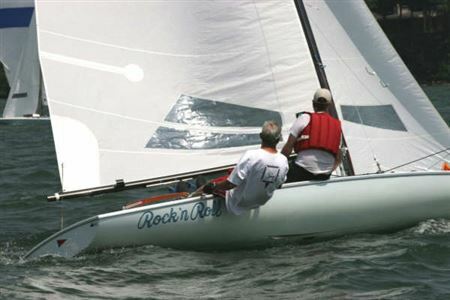 The M20 fleet will not be racing in 2008. 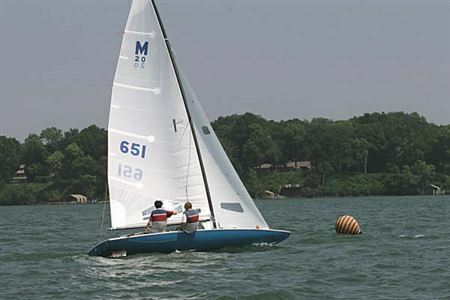 Here are some great photo's from the 2005 M-20 Nationals up at Lake Minnetonka. 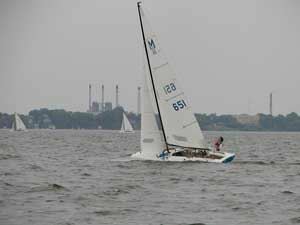 These photo's were taken by Jeff Henniger an MYC(Minnetonka YC) I-20 sailor. 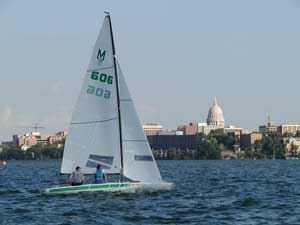 The Madison M-20 sailors did great both placing in the top five. 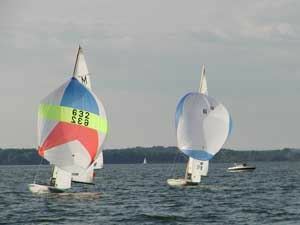 In third place was Bill Bauer in M-20 650 and in fourth was Tom Reps in M-20 651. 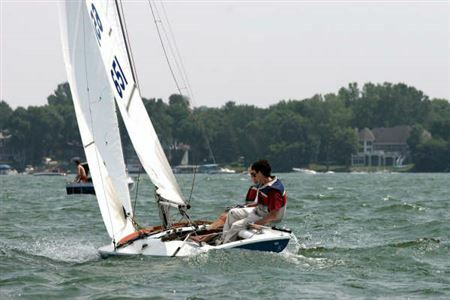 The regatta winner was a home lake sailor Andrew Tapper from the Minnetonka YC. 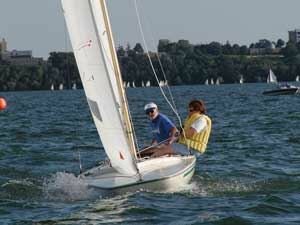 The racing was tight and very competitive with the top four positions all decided by tie-breakers.